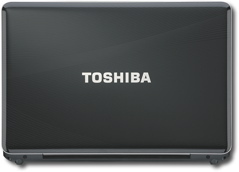 Best Buy again offers the Toshiba Satellite L505-S6946 Intel Core 2 Duo 2GHz 16" Widescreen Notebook/3GB RAM/320GB HDD/dual layer DVD burner/802.11n/Vista Home Premium for $579.99. Shipping adds $14.99, or opt for in-store pickup. Sales tax is added where applicable. This 6-lb. 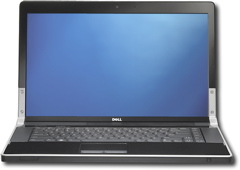 laptop features a 16" 1366x768 LCD, dual layer DVD burner with Labelflash and DVD-RAM support, integrated graphics, dedicated media controls, 7-in-1 media card reader, and three USB ports (no FireWire). Best Buy offers Dell Studio XPS 16 Intel Core 2 Duo 2.4GHz 16" Widescreen Notebook/4GB RAM/500GB HDD/802.11n/MS Vista Home Premium in Obsidian Black, model no. X1640-026B, for $1,099.99. Shipping adds $14.99, or opt for in-store pickup. Sales tax is added where applicable. This 6.4-lb. laptop features a 16" 1366x768 LED-backlit LCD, DVD burner, ATI Mobility Radeon M86XT 512MB video card with HDMI, 2-megapixel webcam, two USB ports, one FireWire port, and an 8-in-1 media card reader. 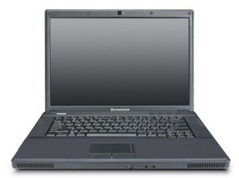 newegg.com offers the Lenovo G530 Intel Pentium Dual-Core 2.16GHz 15.4" Widescreen Notebook/3GB RAM/250GB HDD/dual layer DVD burner/802.11g/MS Vista Home Premium, model no. 4446-24U, for $449.99 with free shipping. This 6-lb. 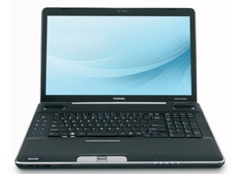 laptop features a 15.4" 1280x800 LCD, 0.3-megapixel webcam, integrated graphics, four USB ports (no FireWire), 4-in-1 card reader, and an ExpressCard slot. 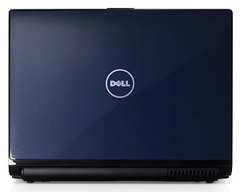 Dell Home offers the Dell Inspiron 13 Intel Core 2 Duo 2GHz 13.3" Widescreen Notebook/2GB RAM/160GB HDD/dual layer DVD burner/802.11g/MS Vista Home Basic in Pacific Blue for $499 plus $29 for shipping. Sales tax is added where applicable. This 4.9-lb. notebook features a 13.3" 1280x800 LCD, two USB ports, one FireWire port, integrated graphics, and an 8-in-1 media card reader. Office Depot offers the Toshiba Satellite P505D-S8935 Turion X2 Dual-Core 2.GHz 18.4" Widescreen Notebook/4GB RAM/400GB HDD/dual layer DVD burner/802.11n/MS Vista Home Premium, model no. PSLB8U-079025, for $699.99 with free shipping. Sales tax is added where applicable. This 9.7-lb. desktop replacement features an 18.4" 1680x945 LCD, dual-layer DVD burner with DVD-RAM and Labelflash support, built-in webcam, three USB ports, one FireWire port, integrated graphics, and a memory card reader.